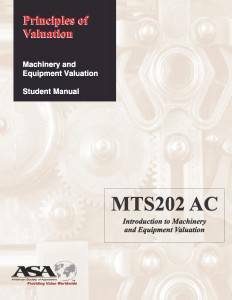 The objective of this course is to explore in depth the ideas introduced in MTS201 and provide students with a better understanding of the types of value commonly used in the appraisal of machinery and equipment. 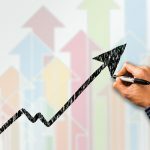 This course addresses the issues of price vs. value; indirect costs; use of and development of indexes; age-life concepts; recommended rounding of figures; types of values for M&E appraisal - reproduction cost new, replacement cost new, replacement cost depreciated, fair market value in use, orderly liquidation value, forced liquidation value; supporting conclusions for various purposes. 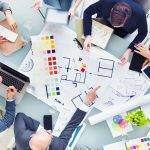 Learning Objective: The objective of this course is to explore in depth the ideas introduced in MTS201 and provide students with a better understanding of the types of value commonly used in the appraisal of machinery and equipment. This course addresses the issues of price vs. value; indirect costs; use of and development of indexes; age-life concepts; recommended rounding of figures; types of values for M&E appraisal - reproduction cost new, replacement cost new, replacement cost depreciated, fair market value in use, orderly liquidation value, forced liquidation value; supporting conclusions for various purposes.